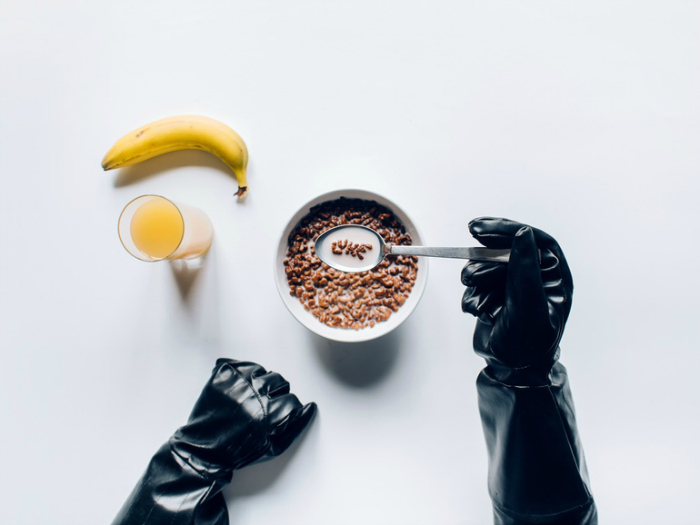 As the world is gearing-up for the release of the latest instalment in the Star Wars saga, one photographer is creating plenty of hype in his own way. Paweł Kadysz, based in Bialystok in Poland, describes himself as an “amateur” photographer. 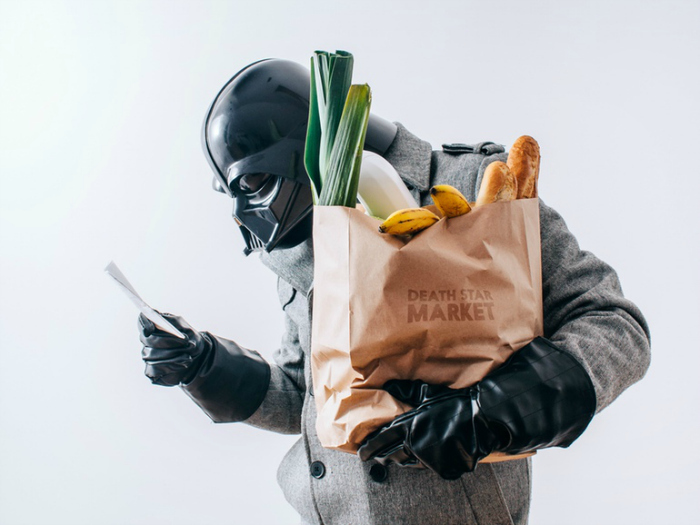 He recently began a photographic project which sees him upload one image daily showcasing the Sith Lord going about his average daily life. As the proud founder of the platform Tookapic, Kadysz looked no further than the site when it came to showcasing his own work. 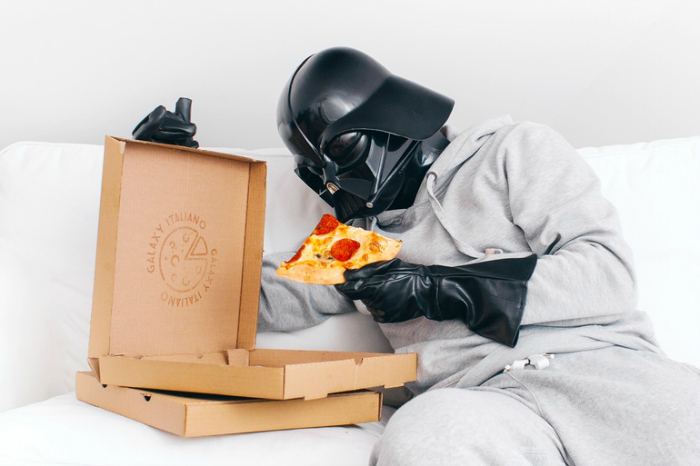 Featuring grocery shopping expeditions, brushing teeth and eating pizza on the couch, the subject’s everyday life looks surprisingly a lot like our own. 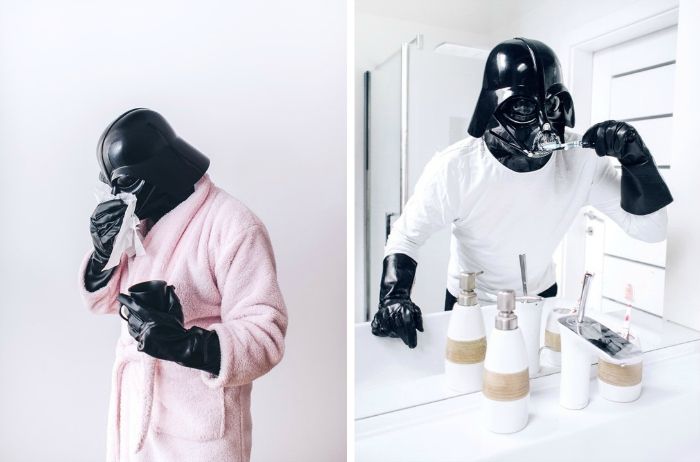 Kadysz himself poses as Darth Vader in each photograph, however he explained to BoredPanda that acting as both photographer and model is still a relatively simple process. With captions ranging from “Damn! Forgot half the stuff I was supposed to buy”, to “I might be dying. 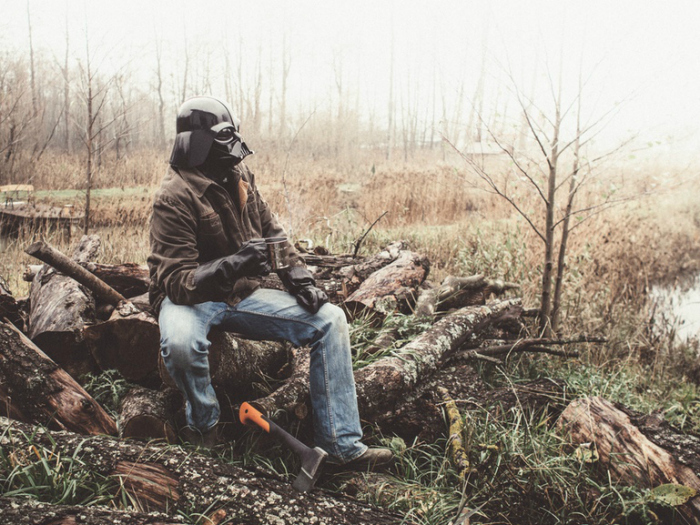 The Force is weak today”, Kadysz’s sense of humor is obvious. 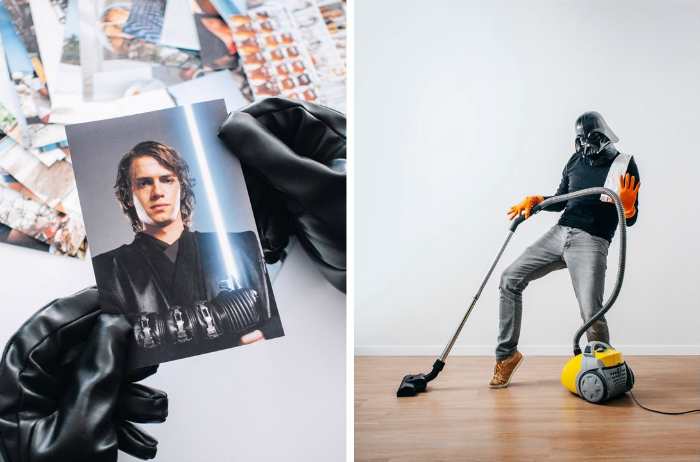 In terms of a timeline for this hilarious and clever new project, the photographer states that he may be in it for the long haul. 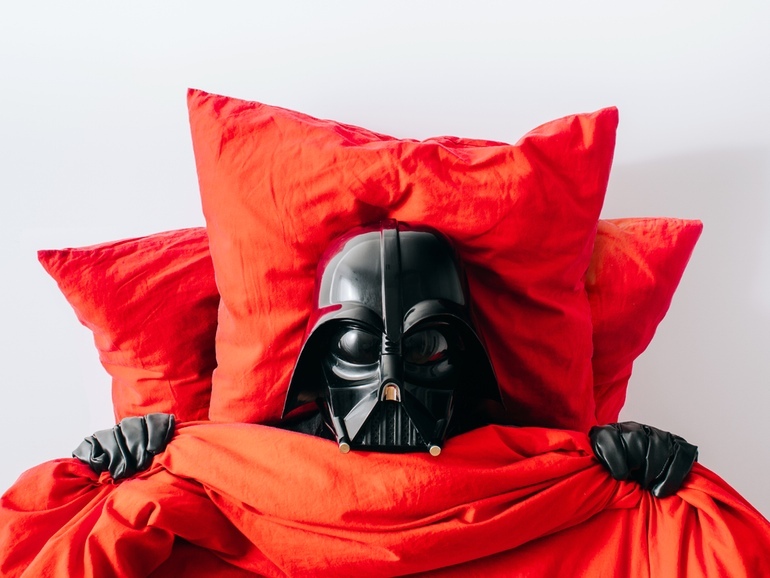 To see Kadysz’s full Darth Vader series, you can visit the project on Tookapic.